One of the largest enterprises of the aviation industry JSC "Kazan Motor Production association" started its history in 1931 and in 2001 has celebrated its 70 year anniversary. Starting with the production of air cooled motors M-11 for airplanes U-1 in 1934 the enterprise in 60-s historically came to the serial production of turbojet engines RD3M-500 for the first jet passenger airplane Tu-104. 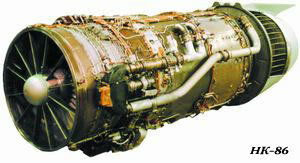 At the present time the enterprise fulfills repair and overhaul of engines NK-8-2U, NK-86 for airplanes Tu-154B, Il-86. Manufacturing of turbojet bypass engine Ai-22 for administrative airplanes Tu-324 and Jak-48 is being mastered which in September 2000 passed first tests. The engine NK-93 having high by-pass ratio is being developed for airplanes Tu-214, Tu-330 which shows the best correlation with the world analogues in its technical and operational characteristics. Works are continued in mastering the parts and assemblies of "Pratt & Whitney Canada" aviation engines. Assembling and testing sector for engines PW 207 for Russian helicopters is being prepared. The engine P-100 for light aviation is developed and its production is being mastered too. In the 1980s KMPO started production on the basis of aviation engines and supply of power drives NK-16ST with the power of 16 MWt for gascompressor units. The most part of these engines is operated by Russian JSC "GAZPROM". Extension of the co-operation program with the gas production industry enterprises allowed to organize manufacturing of the more powerful modification of this series of the engine NK-16-18ST. A new highly economical engine NK-38 ST with the effective efficiency 38% is in the experimental-industrial operation. Together with Tatarstan enterprises the modern gascompressor unit GPA-16 "Volga" is worked out. The exploiting enterprises show great interest to the automated gas-distributing station (AGRS) "Istok" with the productivity from 100 to 100.000 m3/h and unmanned application. Starting the production of the hydro for city busses of the German firm "Voith Turbo GmbH" (DIWA) became an important direction of the development of the enterprise. At the present time more than 100 buses equipped with the hydro DIWA are used in Russia and CIS countries. During last years large-scale works in technical re-equipment of the production are carried out. The manufacturing equipment system is introduced in tool production intended for manufacturing profiled accessories and tools. In metallurgical production the reconstruction of the thermal shop is fulfilled together with equipping with the modern furnaces which allows to carry out heat-treatment processes in the neutral atmosphere and in vacuum; modern equipment is introduced for manufacturing rods with the heated accessories, the unique chill casting machine, the pneumatic batcher and the manipulator in the non-ferrous foundry; production of ring parts by exact breakdown together with the introduction of the unique breakdown machine and furnaces for heating raw parts is mastered in the forge shop. Great attention is paid to the use in the production process of the newest computer systems. Specialists work in the uniform computer system. The automated control system of the enterprise is created and being successfully developed. Work stations are being created with the use of CAD-Cam systems. LCU control of technological processes is being introduced. Technologists and engineers of the association are being intensely trained to work with the automated control and designing systems. The technical re-equipment of the production being carried out allows the association to produce up-to-date, competitive gas turbine engines for aviation and gas production industries. Quality system of JSC "KMPO" for the production, overhaul and servicing of aviation engines corresponds to the requirements of GOST R ISO 9002 and has the corresponding certificates. The history of the association till 1941 was formed of independent life of two plants: Voronezhskiy plant No. 16 and Kazan Motor Industrial Complex No.27. In 1931 Voronezhskiy plant No. 16 was founded on the basis of the factory "Vzryvatel" for the repair of airplanes and motors. Already in 1932 the plant had the volume program for repair of airplanes and motors. But in October 1931 a plan for the reconstruction of the plant was worked out for the production of airplanes. At the beginning of 1932 the reconstruction was mainly finished, the considerable part of engineering workers had passed retraining at the related Moscow enterprises. In 1932 the plant built five airplanes, other five ones were in the stage of production. But the flight tests discovered a series of constructional and technological defects that's why All-Union aviation association considered it necessary to change the airplane-building profile and reorient it to serial production of airplane equipment. Evidently for the short time the plant three times changed the production programs and the general profile. In February 1934 by order of the Central directorate of aviation industry one more project of reconstruction was worked out by "Giproaviaprom" for the manufacture of air cooled motors M-11 designed by A.D.Shvetsov. The motor M-11 had the five-point star form, was air-cooled, with the power of 110 h/p and had the life time 400 hours, with the weight 160 kg and fuel consumption 250 l/h and was one of the most popular motors during many decades. The need for these motors was great because they were installed in the famous airplanes PO-2 (U-2) designed by N.N.Polikarpov and used for mass training of pilots, in agriculture, for mail service, in medicine and for passenger traffic. Development of the reconstruction project, the reconstruction itself, personnel training and preproduction, mastering of products, all this was executed in six months: from February to August. In August 1934 serial production started. In 1934-1935 the plant became the only enterprise manufacturing such motors. In 1936 the plant started conveyorized assembly of items what demanded accurate supply of assemblies and parts and also organization of intrashop planning. 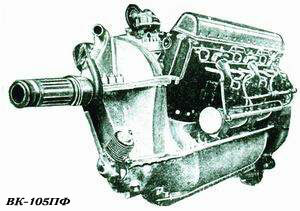 In 1939 the plant received a task to master a new first class motor VK-105 designed by V.J.Klimov. This Motor with the power 1100 h/p and lifetime 100 hours was planed for the flight speed 480 km/h and installed in the famous dive-bombers "Pe-2", "SB". The year 1932 was going by. By the decision of Board of People's Commissars of the USSR the first stones of the future aviation building plants were grounded. Construction of "Kazmash" started. In April 1935 by the order of the Main Aviation Industry Directorate "Giproaviaprom" got a new task - to design aircraft and aviation engine production at the plant named after Sergo Ordzhonikidze (N 124) and which after that was planned to name Aircraft-motor complex N 1214-27. But already next year it became clear that it would be inexpedient to place both aircraft and motor production in one building. 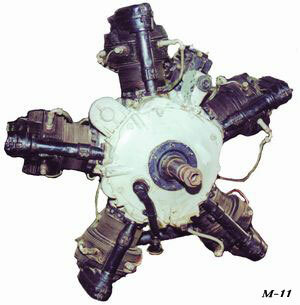 In April 1937 a permission was received from Moscow to develop aircraft-motor plant N 27 separately. In 1936-1937 overhauling engines was the general activity of the plant. On the 21-st of March 1937 the Aviation Industry People's Commissariat ordered the plant to organize the production of the aviation centrifugal supercharger ATSN-2 and the aviation supercharger AN-1. In June 7, 1939 the Aviation Industry People's Commissariat ordered to disjoint Aircraft-Motor Complex N 1214-27 into two independent enterprises: Motor Production Plant N 27 and Airplane Production Plant N 124. Motor Production Plant was intended to manufacture new articles and spare parts. In October 1941 the first engine passed the tests. It was assembled from parts completely manufactured by the plant N 27. From October 16 to November 1941 by the decision of the State Defense Committee Voronezh plant N 16 was evacuated to Kazan to the territory of plant N 27. Such amalgamation allowed to concentrate scientific and design work, material and labor resources at one place as well as to solve complicated production tasks of the wartime. The association work could be considered in four periods. The first is connected with the technical reconstruction of the joined plants, the second with the organization and development of production, the third with the production enhancement to the level of the government task, the fourth with the introduction of the set of organization-technical measures for product cost saving. From 1941 to 1945 flow-line production of motors VK-105 worked at the plant, and in November 1942 it began to master a new 1200 h/p augmented engine M105PF designed by V.Klimov. In 1943 experimental-design office with V.Glushko at the head created a new domestic liquid jet engine RD-1. It was intended as an auxiliary engine, i.e. an accelerator for the improvement of aircraft takeoff, speed and altitude abilities. Highly qualified scientists, designers, experimenters, technologists, metallurgists and chemists formed this development office. From 1942 to 1946 S.Korolev worked here as a Deputy Chief Designer for engine flight tests. Thus the most talented motor builders were collected in Kazan at the plant N 16. Kazan motor builder's labour during the Patriotic War was highly appreciated by the USSR Government and by the Supreme Soviet Presidium decree the plant was rewarded with the Lenin Order for exemplary fulfillment of the government tasks. By order of the All-Union Central Council of Trade Unions and the Ministry dated April 16, 1946 the Red Banner was left at the plant for perpetual storage. The first post-war year is especially characterized by great help to the agricultural workers (in 1946 the plant director M. Lukin issued an order on the production of consumer goods as well as the parts and assemblies for the production of the agricultural machinery), also it produced consumer goods. The development of the domestic aviation in post-war time is that it was based on jet engines. It positively differed from the complex for the production and operation of reciprocating engines. Ground tested pre-production model of such engine was created during the war by the designer A.Lulka. In March 1946 the Government entrusts the plant with the very important task to master manufacture of the turbo-jet engine RD-20. The development department was formed for this aim. The plant workers successfully coped with the task and airplanes with our motors appeared in Moscow sky already on May holiday parade in 1947. In September 1948 the plant gets a new task to start the production of engine RD-500 by the designer V.Yakovlev, which was intended for the aircraft Yak-23. These airplanes were produced till 1951. As it was already noted, during the post-war period jet-propelled techniques developed very quickly and it was no wonder that the plant in very short time had to master the production of different engine types: in 1949 -engine AL-3 by the first jet engine designer A.Lulka, from 1951 to 1953 - VK-1 of the designer V.Yakovlev with the thrust power 2700 kg and life time 200 hour for airplanes MiG-15. From 1953 the plant mastered the production of engine AM-3 (RD-3M-500) constructed by A.Mikulin. It was mounted into A.Tupolev airplanes TU-16 and TU-104. Beginning from 1962 engine family NK-8-3 and NK-8 by N.Kuznetsov was put into production. 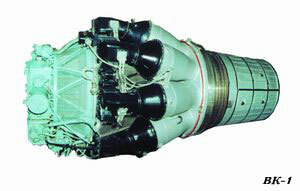 These engines with the thrust reversal were mounted into intercontinental aircraft IL-62. From 1969 the association began to manufacture engines NK-8-2U for the aircraft TU-154. Till the period of the "great" reforms the Ministry of Civil Aviation every year transported 48% of passengers with the planes with our engines. 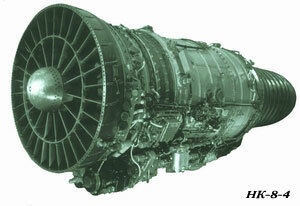 Since 1975 the plant mastered the production of engines NK-86 by N.Kuznetsov for the aircraft IL-86. The plant leaders realized, that the enlargement of the product range leads to inevitable difficulties which could be solved by the acceleration in the rates of automation and mechanization and by the technical re-equipment of the production. New services were formed with this aim: Production Technical Reequipment Mechanization and Automation Department, Production Management System Automation Department. A lot of NC machines of the domestic and foreign production were purchased and mounted. Electronic computers and computer machines were used in the production process. In addition to the main products manufacturing of a large quantity of consumer goods was planned by the Council of Ministers. Thereto on the instruction of the Minister of Aviation Industry order they began to build a sister plant in Buinsk city. On the basis of two plants: the parent enterprise and the sister, which was named Buinsk Machine Building Enterprise Kazan Motor Production Association was formed by the order of the Ministry of Aviation Industry N 215 dated 1976. At the beginning of 1980s there appeared a problem of providing the gas main Urengoi-Pomary-Uzhgorod with the gas-transfer plants with the aviation type drives. By order of the Ministry of Aviation Industry N293 from July 9, 1979 our enterprise was given a task to produce these power drives to gas turbine engines NK-16ST. In 1982 serial production of this engine started. Taking into account the need of the gas and chemical industries in such plants with the use of aviation engines, the second sister enterprise of KMPO was built in 1980-1985 in Zelenodolsk city, which was of 100 000 square meters and which was named Zelenodolsk Machine Building Enterprise by the order of the Ministry of Aviation Industry N 390 dated August 4, 1983. Titanic labor of the KMPO workers (engines NK-16ST, NK-86, NK-8-2U were produced simultaneously with the scheduled repair of engines) was highly appreciated by the government. In 1983 for the services in the sphere of creation and mastering new aviation techniques KMPO was awarded the October Revolution Order by order of the USSR Supreme Soviet Presidium. Market relations time came. In 1994 KMPO by the way of incorporation was changed to the JSC "Kazan Motor Production Association". This year a contract for the production of automatic drive gears for city busses was negotiated with the firm "VOITH". The plant reached a new production level (high technology and measuring equipment was purchased for the production of the new product). 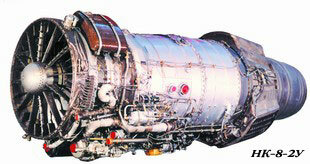 In 1995 production of engine NK-16-18ST for gas-transfer plants was organized. In 1997 production of engine NK-93 by the designer N.Kuznetsov for airplanes IL-96, TU-204, AN-70 was organized at KMPO. The enterprise started the production of gas-transfer plants GPA-16 "Volga" as well as the production of engine NK-38ST for gas mains. Manufacturing of automatic gas-distributing station AGRS "Istok" was put in order. In 1998 manufacturing of engine AI-22 designed by the designer F.Muravchenko was organized, which would be mounted to airplanes TU-324, JAK-48. In February 2000 JSC KMPO quality system was certified by the quality certification agencies "Centrocert" and "Sojuzcert" and was given the certificate of conformity N 6301.310073.RU and N 6300.310094/RU confirming that the quality system at KMPO in production, overhaul and servicing of aviation engines satisfied GOST R ISO 9002 requirements. In 2001 the association celebrated its 70th anniversary. In September 7-th the grand meeting took place devoted to the 70-th anniversary of the formation of the plant. The President of the Republic Mentimer Shaimiev was among the guests.